DPP2U Series 2u dc distribution panels provide distribution and overload protection for 1 to 20 circuits with circuit breakers that can be field installed/exchanged using a supplied puller tool. Breakers need to be ordered individually and are shipped with each panel as separate items for field installation. 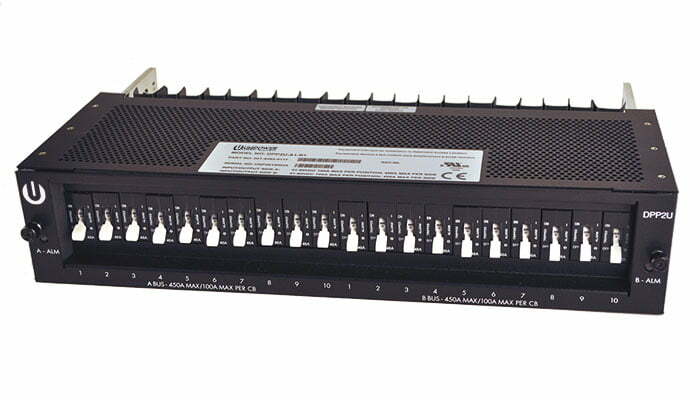 Breakers rated 125A to 200A require two positions and are supplied as a kit with output bus paralleling bars. See datasheet for installation restrictions. See datasheet for details of the approved types of breakers.